Product prices and availability are accurate as of 2019-04-21 12:01:51 UTC and are subject to change. Any price and availability information displayed on http://www.amazon.com/ at the time of purchase will apply to the purchase of this product. Author Bookstand is proud to offer Undertakings of an Undertaker: True Stories of Being Laid to Rest by Bookstand Publishing. Bookstand Publishing offers books by the best indie authors throughout North America and the world. Bookstand Publishing is dedicated to offering original content to a broad audience and promoting great authors, literacy, and freedom of expression. 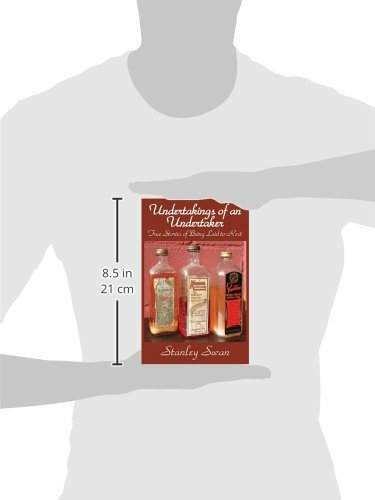 Undertakings of an Undertaker: True Stories of Being Laid to Rest has generated a lot of interest and excitement and we think it would be an excellent addition to your library. Could these remains, yet to be identified, be one of the victims of Rochester's Genesee River killer? Did the mourner in the chapel with the casket and the deceased actually think there was an apparition present? Is it legal to bury a man with no pants? Would a man really drive his deceased wife to a mortuary instead of calling the authorities? Those ashes seeping from the fractured urn...imagined or real? The black cat visiting the deceased man's wake...a family friend or fiend? 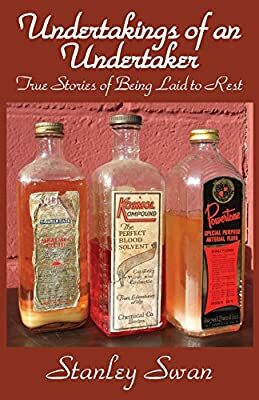 These are just some of the intriguing, unusual and funny stories to be found in Undertakings of an Undertaker: True Stories of Being Laid to Rest. Author Stanley Swan spent 37 years in funeral service, making notes from day one, and he has now penned them to paper and put them into print for others to see. Here you will read about the challenges facing those in funeral service - the highs, the lows, the personal sacrifices and the rewards. You will also experience all of the emotions encountered during the day-to-day business of taking care of a community's funeral and burial needs. Every story is true, as it really happened, with no embellishment, nothing left out...100-percent fact. Step into the world of funeral service, of which little has been written about over the last few decades. Funny, gut wrenching, chilling, unbelievable in many instances. Come take part in the Undertakings of an Undertaker: True Stories of Being Laid to Rest. A book you'll want to share for sure!